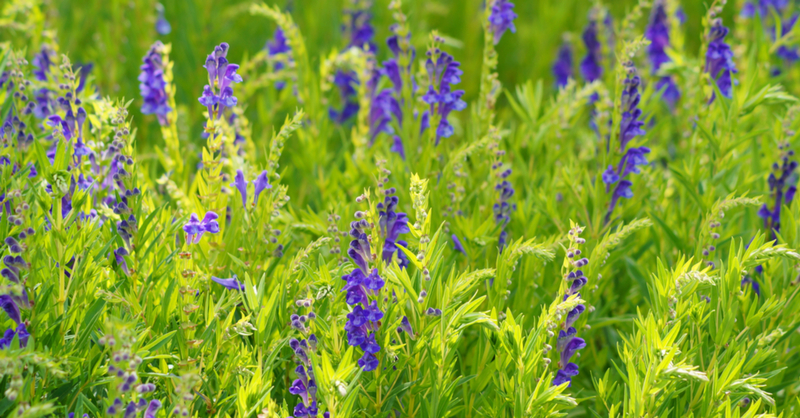 Chinese skullcap (Scutellaria baicalensis) is a flowering herb used in Chinese medicine that has gained recognition for its role in the treatment of inflammatory conditions such as arthritis. Scutellaria baicalensis is not to be confused with other members of the Lamiaceae, or mint family, such as Scutellaria lateriflora found in North America. Both of these species and others are referred to as skullcap because of the shape of their flowers’ calyx. 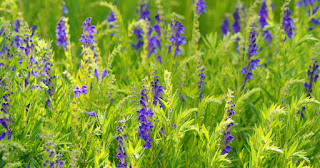 “Scutellaria baicalensis Georgi is the most widely used medicinal plant in traditional Eastern medicine, especially in Chinese medicine,” note B. P. Gaire and colleagues in the Chinese Journal of Integrative Medicine.25 Like most herbs, Scutellaria baicalensis has a variety of traditional and modern uses. Future research could see the development of Scutellaria baicalensis as a source of new prescription drugs for cancer and other needed areas. Tsao TF et al. J Dent Res. 1982 Sep;61(9):1103-6. Arweiler NB et al. Clin Oral Investig. 2011 Dec;15(6):909-13. Baylor NW et al. J Infect Dis. 1992 Mar;165(3):433-7. Li BQ et al. Cell Mol Biol Res. 1993;39(2):119-24. Huang RL et al. Planta Med. 2000 Dec;66(8):694-8. Lin H et al. Biomed Res Int. 2016;2016:5697571. Chung CP et al. Planta Med. 1995 Apr;61(2):150-3. Li J et al. Oncol Rep. 2016 Nov;36(5):2771-2776. Kimura Y et al. J Nat Prod. 1997 Jun;60(6):598-601. Kimura Y et al. J Pharm Pharmacol. 1997 Aug;49(8):816-22. Huang Y et al. Curr Drug Targets Cardiovasc Haematol Disord. 2005 Apr;5(2):177-84. Gao Z et al. Biochim Biophys Acta. 1999 Nov 16;1472(3):643-50. Ye F et al. J Altern Complement Med. 2002 Oct;8(5):567-72. Chan FL et al. Cancer Lett. 2000 Nov 28;160(2):219-28. Bonham M et al. Clin Cancer Res. 2005 May 15;11(10):3905-14. Kim AR et al. Planta Med. 2014 Feb;80(2-3):153-8. Zhang DY et al. Cancer Res. 2003 Jul 15;63(14):4037-43. Scheck AC et al. BMC Complement Altern Med. 2006 Aug 16;6:27. Liu JJ et al. Int J Cancer. 2003 Sep 10;106(4):559-65. Orzechowska B et al. Int Immunopharmacol. 2014 Dec;23(2):558-67. Gol'dberg VE et al. Eksp Klin Farmakol. 1997 Nov-Dec;60(6):28-30. Smol'ianinov ES et al. Eksp Klin Farmakol. 1997 Nov-Dec;60(6):49-51. Yimam M et al. Behav Neurol. 2016;2016:7240802. Chang Y et al. Am J Chin Med. 2016;44(5):943-62. Gaire BP et al. Chin J Integr Med. 2014 Sep;20(9):712-20.